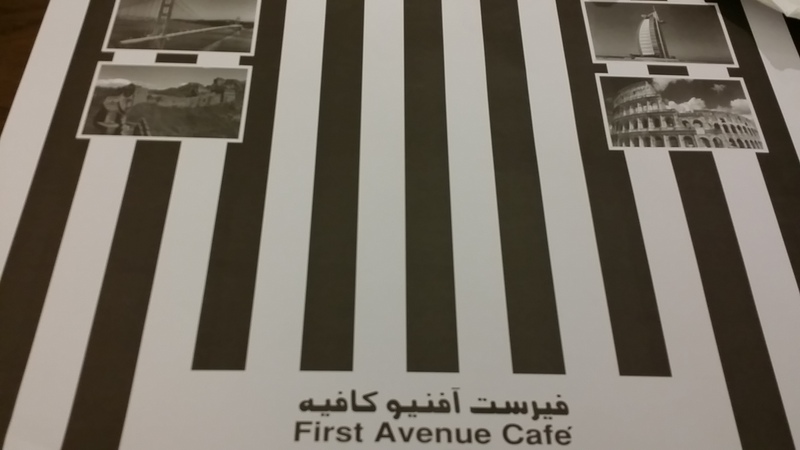 Some colleagues of mine and myself have already tried almost all the restaurants available in Oud Metha at a walk-able distance from our office. We have found 2 – 3 options that suit our taste and budget including 2 Lebanese restaurant and a Modern Bakery shop where we usually get our daily lunch. After several months of eating almost the same thing every day, we come to know that a cafe restaurant was available in ‘Home r Us’ showroom and decided to give it a try. We had quite high expectations and were hoping to finally find an alternative option to the daily lunch routine. We were welcomed and offered the menu immediately and quickly asked some further information to the waiter that looked very confused. I asked for a breakfast item and he said it wasn’t available while the menu showed a clear “served all day” notice. He apologized smiling and took my omelette order, I had to add cheese and mushroom (and pay extra for those) since the omelette in the menu was just plain eggs. I asked some hummus and had to fight to get it because the waiter said “it is only available if you order a main breakfast item”. I spare you the 5 minutes discussion I had to entertain with two people (an additional waitress came to help her colleague) in order to let them understand that I was wiling to pay for it the price indicated in the menu. My colleague ordered a simple Swiss Mushroom and Cheese burger. After 15 minutes I received my order but they forgot to bring bread for the hummus. Never mind I thought and started eating the omelette that was made with almost raw and crunchy-tasteless mushrooms. By the time I had my omelette and ate half of the hummus with the fork, they brought some bread and my colleague’s burger, 35 minutes after placing our order. He gave the first bite to the burger and got a bad surprise. The burger patty was as hard as a stone. Puzzled he opened the burger and tried to cut it with the cutlery and could manage to do it after applying a considerable amount of energy. He called the waiter that wasn’t able to handle the situation and was seriously debating with himself whether to charge anyway our bill with the cost of the burger. We requested to talk with the manager that was absent as well as any kind of supervisor. I came there a second time and can say that the place is good if you order something already prepared. Pizzas looked good as well but sandwiches and other mains prepared on the spot should be avoided. 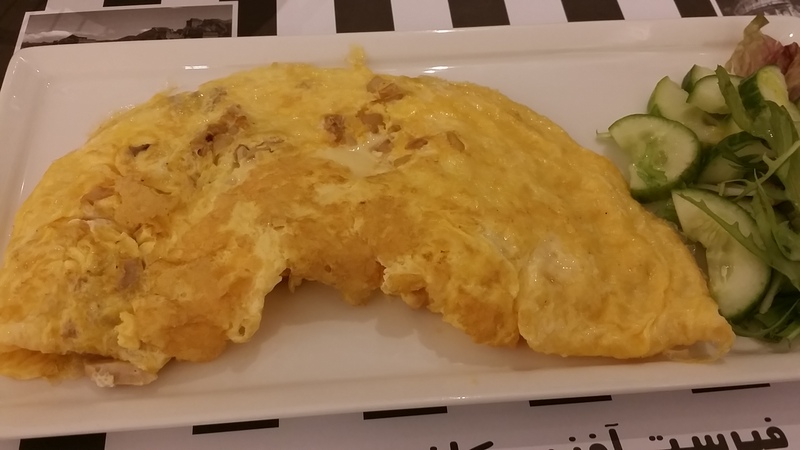 This entry was posted in Oud Metha, Restaurant in Dubai and tagged Business Lunch, Eggs, First Avenue Cafe, Food, lunch, Omelette on November 2, 2015 by andreadetto. Dubai is one of the global cities of the world where people are moving fast and don’t have time to wash the cooking dishes, hold the sharp knives in cutting different vegetables, and no time to check each recipe for cooking. Always think of your mother who cooks every meal with different dishes, but living and cooking in Dubai will be very busy with schedules where you won’t get enough time. You want someone to cook for you will eat your hard earned money so finding good hotels and restaurant will solve the hunger. If you roam here and there in find those hotels and restaurants, you will waste most of your working time. The best solutions will be ordering from online food delivery Dubai. First time when you try to http://laptoplunch.ae/ you will not feel too much hunger because they have the fast delivery system irrespective of their locations, addresses or person who is staying in far places.